Unbelievably enough, the 2018 college football season is already entering the final quarter of the season, providing further proof that time does, in fact, move at warp speed in the fall. For Ole Miss Rebels fans, it’s been a season to forget. Truth be told, it’s the second consecutive season to forget, and next year will be the third (and hopefully final) season to forget. The destructive and crippling 5 year NCAA colonoscopy might be complete on paper once the Egg Bowl is in the books, but the effects are far from over. The razor thin depth throughout the roster wasn’t created in a day and its resolution won’t be cured in one recruiting class. So, as we enter the final quarter of the season, Ole Miss sits at 5-4 (1-4), only escaping the basement of the SEC West thanks to a hapless Arkansas squad that could have (and probably should have) beaten the Rebels three weeks ago. Two straight tough losses in a row to Auburn and South Carolina and blowout losses to Alabama and LSU earlier in the year have predictably put the fan base in a rather dour mood. Looking ahead at the remaining schedule they realize there are no more sure wins, and there’s a very realistic chance the team ends the season on a 5-game losing streak. But you know what? As much as it seems like everything has gone wrong this year, it hasn’t been quite as bad as one might think. Some might think this has been the worst year in recent memory (and the defense has been, in fact, historically awful), but those people obviously don’t remember years like 2010 or 2011. Or the entire Ed Orgeron era. 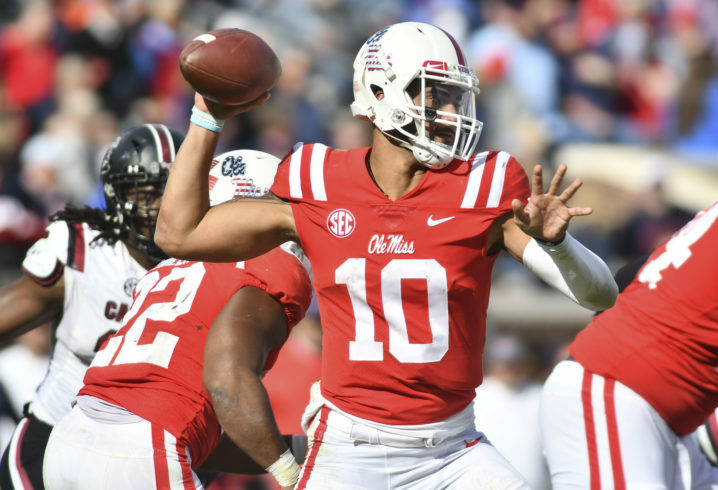 Believe it or not, there are some positives to be found from the 2018 Ole Miss season. The lone question mark offensively for the Rebels entering the 2018 season was whether someone would emerge at RB with Jordan Wilkins off to the NFL. Well, safe to say, they found an adequate replacement for Wilkins (who had the fifth-best season by an Ole Miss back in program history last year) in 3-star JUCO transfer Scottie Phillips, who has quickly become one of the best backs in the country. With 3 games left in the season, Phillips is No. 17 nationally and No. 3 in the SEC with 923 rushing yards and is No. 7 nationally with 12 rushing TDs. He’s on pace to finish the season with 1,230 yards, which would be second best in school history behind Kayo Dottley’s 1,312-yard performance in 1949. He’s also just 3 rushing TDs from setting a single-season school record. The one constant for the Rebels over the past two years has been the play of star wide receiver A.J. Brown, who is again enjoying an All-American-caliber season for the Rebels. He’s 6th nationally in receiving yards (920) and 7th in receptions (66), while catching 5 TD passes. The 6-1, 230-pound Starkville native is on pace to finish with 88 receptions and 1,226 yards, which would be the most receptions and second most receiving yards in single-season school history. Most are assuming Brown is playing the final 3 games of his career as there’s a good chance he’ll leave early for the NFL Draft (which he should, by the way). 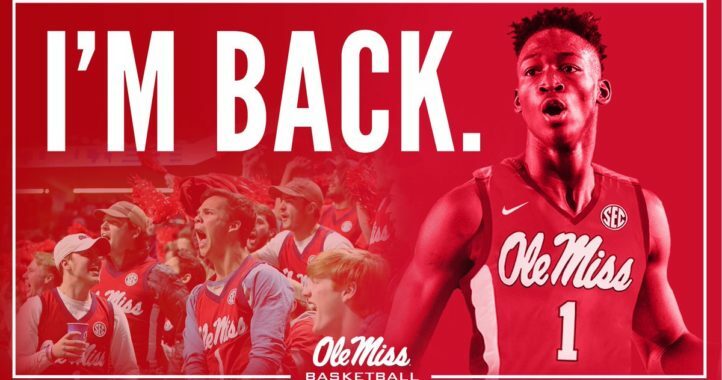 If that’s the case, enjoy him over the next few weeks, because he’s undoubtedly one of the best to ever don an Ole Miss jersey. Look, the unit is still well below average as a whole, but you can’t deny they’ve slowly and steadily made progress throughout the year. At the start of the season, there wasn’t one starting SEC-caliber LB on the roster, but give coach Jon Sumrall credit, he’s quietly turned guys like Mohamed Sanogo and Willie Hibbler into solid players. Sanogo leads the team in tackles with 76 and has forced 2 fumbles while Hibbler has added 33 tackles, 3.5 TFLs and a sack. Also on the bright side is that both Sanogo and Hibbler are slated to return next year, as are young talents like Kevontae’ Ruggs and Jaquez Jones, who have shown flashes of playmaking ability this year. This unit won’t nearly be the liability in 2019 that they’ve been for much of 2018. 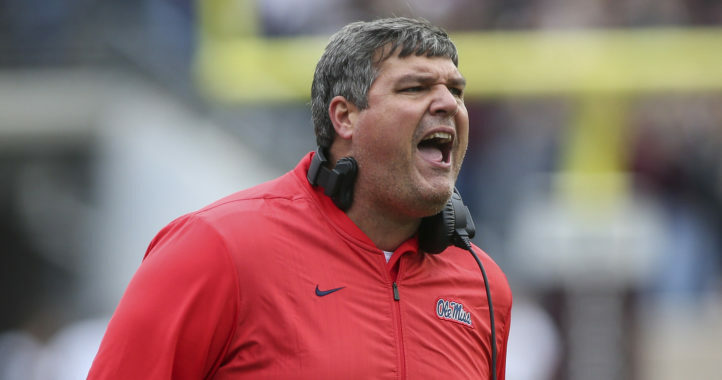 Of the numerous penalties the NCAA levied on Ole Miss, one of the more damaging limited the number of times a prospect could unofficially visit the campus to just once per calendar year. It was an entirely unnecessary addition to the already lengthy list of penalties, and one that was going to have a severe effect on recruiting. Imagine that elite prospects from local schools like South Panola or Lafayette, despite being just a few miles down the road, could literally only visit the Ole Miss campus twice per calendar year (one official visit and one unofficial). Programs count on unofficial visits to continue to build in-person rapport with prospects, and limiting them to once per year was an obnoxiously excessive add on to already crippling sanctions. Fortunately, in a rare turn of events, the NCAA admitted that was too harsh, overturning the penalty and admitting the Committee on Infractions “abused its discretion.” The Rebels still won’t play in a bowl game, but at least the penalties on-paper will be entirely complete following the Egg Bowl. Remember when Shea Patterson went down against LSU last year, and it was assumed that Ole Miss would never win another game? That they were stuck with the unknown 2-star JUCO who only had one other Power-5 offer? Now fast forward 14 games and imagine where this team would be without Ta’amu, who’s true value to the program during a brutally tough time can’t be overstated enough. Sure, he’s had some tough moments, and he’s probably thankful he’ll never have to face Alabama or LSU again, but he’s certainly not the first (or last) QB to struggle against two of the best defenses in the country. Looking at the season as a whole, he’s having a sensational year, completing 65 percent of his passes for 3,001 yards with 16 TDs and 5 INTs, averaging 9.6 yards per attempt. He’s also the team’s second-leading rusher with 362 yards on the ground and another 5 TDs. He’s on pace to become just the second QB in school history to amass 4,000 passing yards in a season, and there’s a chance he surpasses Chad Kelly’s 2015 record of 4,042 yards. There’s also a very good chance he’ll finish his career sixth all time in the school’s record book for career TD passes, which would place him ahead of some guy named Archie Manning, who, I don’t know, apparently was an OK player. From a national perspective, he’s 4th in yards and yards per attempt. Ahead of him? Kyler Murray (Heisman candidate), Tua Tagovailoa (Heisman frontrunner) and Will Grier (Heisman candidate). He’s 28th in completion percentage and tied for 33rd in TD passes. He’s 17th among QBs in rushing yards and tied for 22nd in rushing TDs. Folks, that’s one of the best seasons in school history. I know it’ll be easy over the next few weeks to turn a blind eye in the hopes that it’ll make the time go by faster, but fans should still go out and support the team. Not necessarily for Matt Luke or the athletic department, but for the players, especially those who didn’t have to stay during these tough times. It would have been awfully easy for guys like Greg Little, A.J. Brown or Jordan Ta’amu to transfer, and no one would have blamed them if they did. But they stuck around and stayed loyal to the team and the school when others did not. For that, fans should give them three more weeks of love and support and send them out on a high note. What a homer! If I hear the “lack of talent” issue one more time, I may turn to watching political ads on television! It’s about the same honesty. Simply put, Ole Miss has probably never had as many elite players at one time. And yet, we still lose to nearly every SEC team. The NCAA has nothing to do with the product currently on the field. That’s purely, squarely and fairly on the current coaching staff. Oh, and those coaches? By and large, it’s the identical staff that recruited and coached when Freeze was still there. If there are recruiting deficiencies, they are just as liable as Freeze. So please, stop blaming Freeze for lack of talent, all of the NCAA issues and global warming! It’s an old alibi/excuse/justification and simply not truthful. The current Ole Miss administration and athletic department has fumbled and failed its alumni and fan base at every turn. Unless a radical leadership cleansing occurs, our fortunes will almost certainly get worse. firing ross bjork is worthless.